What motivates me is helping my clients achieve their dreams. I will do everything I can to make sure your next move is a step toward your dream, while making the process as enjoyable as I can. Buying or selling a house can be a stressful experience. My job is to take as much of that stress away as possible, get you what you need, and make sure we have some fun along the way, too! I specialize in Iowa City real estate so, if you’re ready to start, get in touch! I’d love the opportunity to be a part of your journey to find the perfect home. Learn more about me and my team! Not only did Julie help us find our new home, she helped us make work connections, talked to our teenage kids about their new school (Julie's kids attended the same high school), and gave us names of local contractors that could take on a major remodel project. Julie is fantastic! Very efficient and detailed oriented with a lot of experience in the Iowa City market. Relocated from Chicago are and provided great information on schools and local neighborhoods. Will tailor showings and provide advice as she gets to understand your likes/dislikes. Highly recommend. Julie Dancer is absolutely amazing! We really needed to sell our home. It was a difficult timeline, not ideal for selling. Julie created a plan and just just truly relentless! She worked so hard for us. Every little touch was taken care of. She staged the home beautifully. She was always available to talk and help us. She got the job done when we were not sure it was possible. I strongly recommend Julie to you. She is simply the best! Where to begin? 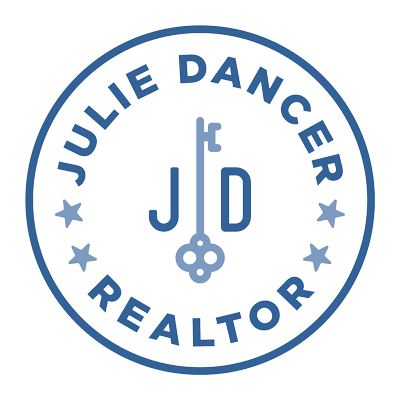 Julie Dancer helped us purchase and sell a home. She is appropriately assertive and represented us in the most professional way. She truly is an expert in this field and we trusted her advice and were extremely satisfied with her service. We would absolutely recommend Julie for anyone who is contemplating buying or selling real estate. Julie is awesome and is great at what she does. She kept me updated throughout the entire process and made it very easy to sell my house. Julie has been my realtor for years and I look forward to having her help me when needed. Contacted Julie to sell my mother's house. Julie was very knowledgeable in all aspects of the selling process. She was always available to answer any questions we may have had. Julie knew how to make the house sell. Our turnaround time was less than 6 weeks and all parties; buyer and seller came away happy. I have sold two houses before in the Iowa City area and previously used one of the realtors who had been in business for over 20 years. Julie was a breath of fresh air. She worked incredibly hard to sell our house. I would never use those older realtors again. Julie will work hard for you and get your house sold! I LOVED working with Julie! She is absolutely, positively, totally 100% professional--she is an invaluable partner in your buying/selling process. I am certain that we would not have been able to close on our house without her. She maintains an even keel in the tensest negotiations--something that is critical in these types of situations. She has energy to spare, knows the community back and forth, and will make sure things are fair and honest. We worked with other realtors in the past and we did not feel well-represented...with Julie, that was never the case. I would recommend her to anyone. Julie found our home and contacted us the weekend it went on the market. It was the perfect match for us. We had been viewing prospective homes for 2 years while our home was on the market in another town. Our home had just sold and we needed to find a new home asap. Many thanks! Julie is an amazing realtor. Using her for both the buying & selling side she did a wonderful job & is incredibly knowledgeable in home pricing & the surrounding market. She made both buying and selling quick and easy & was available for phone calls and even house visits at all hours of the day and evening. In the slow Winter months, we listed & sold our home within 1 month with high volume of interested foot traffic in a neighborhood where existing homes are competing with empty lots & custom builds. Her dedication to the field and her clients is top notch. We'd highly recommend her for all home buying AND selling needs. Julie Dancer is amazing. She works incredibly hard. She is assertive, quick, and knowledgeable. When there was a time crunch, she made an 11PM house call on a Sunday night! We were so happy that we worked with her. I have bought and sold numerous houses over the years and Julie has been the most responsive, pleasant and helpful real estate professional I have ever worked with. She is a genuinely nice person that I highly recommend. Julie is an extremely hard-working and knowledgeable realtor. We only had 72 hours to find a new house in Iowa City and she found us a wonderful place. We are so happy with our home. Julie was honest throughout the process and did not pressure us in any particular direction. Just had a really delightful experience with Julie as she helped us work on a relocation to Iowa City (from the east coast). Julie was responsive by email after I reached out from the east coast. When we arrived in Iowa, she was punctual w/ the appointments, friendly, knowledgable, and creative. She showed us a few homes that weren't on our radar and also a home that hadn't yet hit the market. Seems like she's plugged in to the scene and knows a lot about the current listings as well as new construction. Julie nailed expectations even I thought were too high. I wanted a beautiful historic house walking distance from everything, but didn't imagine I'd even be able to find one, much less afford such a property. Demand in Iowa City is high, and quality homes fly off the market. But Julie's knowledge and connections got us into our highly sought after house before it was even listed, allowing us to place an early and competitive offer. Since we were new to the process, she held our hands and walked us through every detail. We now live in the very home we dreamed of owning and could not be happier. Julie was my first agent for buying a home. She was always at the ready and really listened to what we wanted and needed. So when it came time to sell our house, it was Julie that I called. I loved her friendly and professional manner and she gave great advice on how to sell our house quickly. We did what she recommended and we sold it in three days. Thank you Julie! We had a house to sell in Iowa City, and we live in Council Bluffs, 245 miles away. There were also tenants in the property when we first put the house on the market. Julie persevered despite uncooperative behavior on the part of the tenants. She got the house sold in less than two months after the tenants moved out. Throughout she worked very professionally via email and phone, and minimized our need to travel to Iowa City. That save us a lot of money we would otherwise have spent on hotels. I highly recommend her services. Julie is very knowledgeable about the Iowa City housing market. She is patient and ready to help. Firm when she needed to be. She helped sell our home and buy a new one and made it almost a painless process. I knew the house was going to be competitive, so I needed to get an offer in quick. Julie got me into contact with the people who could get everything in order quickly. After attending an open house on a Sunday, we had an accepted offer on Monday. I just wanted to take a second to tell you that you are truly a pleasure to work with! You have this positive can-do attitude that completely puts your customers (and loan officers!) at ease no matter what the obstacle! I can honestly say I look forward to working with you again in the future. I want to emphasize how much you are appreciated; please know we consider you an extremely valuable member of “our team” - and if there is something we need to do, just holler! We cannot (and would not want to!) do this [buy a home] without you! I just recently move to Iowa city to continue my education, and I was a first-time buyer. My banker recommended Julie, and she is amazing. She asked details about my preference and drafted a list of houses available. It only took her 2 half days to show us houses and another half day to make the decision. It is impossible to do this without her professional expertise. Thank you, Julie! We worked with Julie to find our dream home in the country and sell our current home. Julie is very easy to work with. She's busy but she always had time for us, including being able to schedule viewings on short notice. She was respectful of us needing time to work out exactly what we were looking for and helping us to clarify what was truly important to us. Because we were looking for small-to-medium acreages, our search area was pretty wide, including several that were well outside the city limits. Even when a listing looked only marginally promising, if we were interested in looking she was eager to help and understood that it was useful to us to get to know what was important in our new home. We eventually ended up viewing the home we purchased several times. Julie patiently allowed us to take the time we needed to make our decision and we ended up with a home we love. Her advice during the negotiations was frank and very helpful in getting us a good deal. We listed our existing home with Julie as well and got an acceptable offer the first day it was publicly available. Her advice on pricing the home helped us to get more than we had been counting on to finance our new home purchase. I can't say enough about how good this person is and the fantastic, easy experience I had with getting a home at an outstanding price in the white-hot Iowa City real estate market. She is incredible. She bent over backwards to make things happen. She was never out to make a big sale so she could increase her slice of the pie. Her number one goal was always to make me as happy as possible. I have had unpleasant experiences with other real estate people but Julie was different. You would be hard pressed to find someone as good and dedicated as Julie. I will definitely go back to her when it comes to selling my home and I move west in a couple of years. We’ve worked with Julie with our last 2 home purchases. With Julie, you’re getting a 100% professional. With her vast market knowledge and tireless work ethic, she makes the home buying/selling process as simple and stress-free as possible. She devotes herself to her clients, and, as a family woman herself, she truly cares about where you and your family spend your future. Julie is a ROCK STAR! She went to bat for us when things weren’t as easy as we would have liked them and when the inevitable hiccups showed up, she swooped in and saved the day. Our house was sold in less than a week!! She was knowledgeable about everything from locations to timeline and was completely honest when we had tough questions. She was so patient with us when we were indecisive, got us in to homes that weren’t even on the market yet and helped us find the house of our dreams! She has become not only our realtor for life, but a friend! Thanks Julie! We were casually looking at homes and Julie understood what we were looking for. Helped us put an offer on our home before it was officially listed. Furthermore, there were many times I randomly text'd her asking to see a house and a hour later we there. Thanks! Julie was fantastic, and set a new bar in my mind of client-focused broker. She set the right price, and had multiple offers in ONE DAY. She was a great negotiator with wise counsel. She was quick and thorough with all documents, no matter the time of day. She obtained and coordinated the work of five different contractors for minor Seller's remedies repair work at the house, and found a house cleaner for last second deep cleaning. The closing went so easily I actually forgot it was closing day until Julie emailed me it was over and telling us the sale proceeds. I highly recommend Julie. Julie was great to work with. I was trying to find a property type that was in high demand and Julie was able to alert me to properties coming up for sale in advance so I could view them as soon as they were on the market. Julie went above and beyond helping me find the perfect house. She helped to ensure I was the first offer on the house and provided us with assistance in getting the deal closed quickly. I would definitely recommend Julia to anyone looking to buy a house in the Iowa City area. “The 2019 housing market will see modest inventory gains, but with mortgage rates expected to hit 5.5 percent by the end of the year, monthly mortgage payments will rise 8 percent putting home ownership more out of reach especially for younger Gen-Z, Millennial, and other first-time home buyers. Upscale homes in high-growth markets, however, will provide more opportunities for buyers.” Read the full report here.